First drafts are when I’m at my most productive, at least from a raw word count perspective. 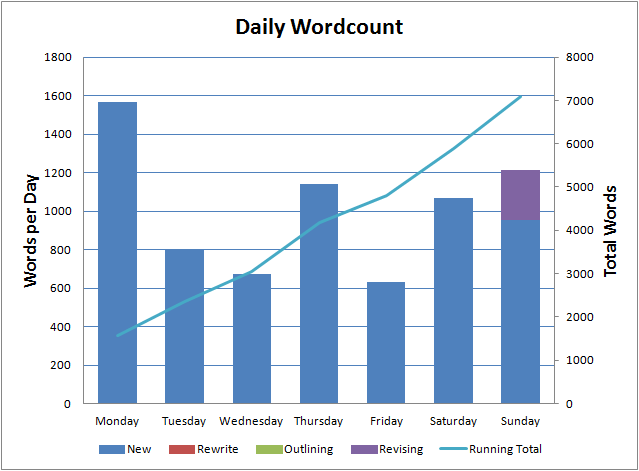 With The Zombie Book in full swing, I managed 7,096 words on the manuscript last week – bringing me just beyond the 18,000 word mark – about 25% through the book. That’s a very good week and was probably helped by a couple of trips to the library. It’s much easier to focus without the distraction of the Internet (or anything else for that matter) and a nice air conditioned environment. With at least two weeks more of heat predicted, I suspect I’ll be making more trips in the near future.